Today’s passage is full of assurances that God stands against evil and watches out for us. Righteous God promises to hear our cries, deliver, heal and save us. What a great assurance it is to know that God hears my prayers. Isaiah 58:9a also affirms this and says, “Then you will call, and the LORD will answer; you will cry for help, and he will say: Here am I”. He also promises deliverance from our troubles. God’s deliverance is often not what I might think. His ways are not my ways, but His deliverance is complete and always perfectly timed. The last lines of today’s selection bring great comfort as God promises to be close to the brokenhearted and save those who’s spirit is crushed. God’s comfort is like a giant bear hug that brings warmth to your very soul. His peace and healing are spiritual but He often sends someone to stand with us and give us physical healing and comfort too. In Psalm 34 we have seen deliverance and protection in verses 4 and 7. Blessings, refuge and provisions from God in verses 8,9 and 10. Yesterday we looked at how to fear the LORD and to be seekers of peace. Today the Psalmist points towards our Righteous God who will hear us, deliver and heal us. What an awesome God we serve! Look for those who are in need of comfort and step in to give God’s comfort to them in Jesus’ name. 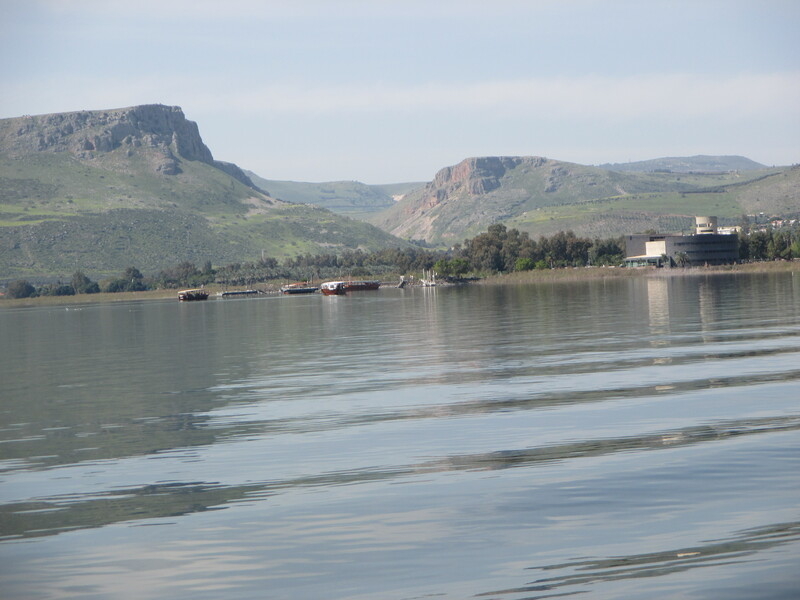 Be calm like the waters of the Sea of Galilee pictured here.